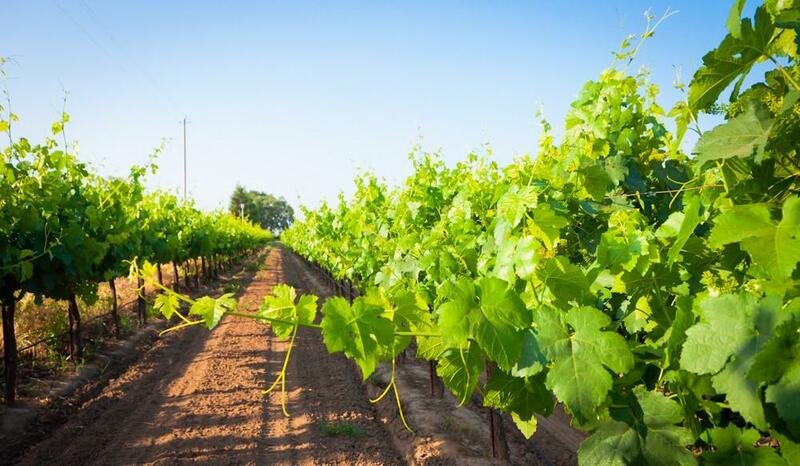 Lodi, California has long been renowned for its top-tier wines, and recently it was named Wine Region of the Year by Wine Enthusiast. With such hype, you’d think that vintners might crack under the pressure, but instead they keep innovating and perfecting their craft. Many of Lodi’s best wineries are family-run, and while several date back to the 1800s, owners are continually adapting to new technologies that protect the environment. Whether you’re hoping to try some unique varietals or curious about the mom-and-pop wine making scene, here are five Lodi wineries for every interest (and taste bud!). Located in the heart of Lodi wine country on fertile soil, Oak Farm Vineyards is a serene reprieve from urban life. Over the years, Oak Farm has earned quite a reputation for its quality wines, but to be fair, it’s not the only Lodi winery getting noticed. In fact, several of Lodi's wineries earned top honors at the California State Fair this past summer. Oak Farm Albarino took home the prize for Best of Show White, so if you do make it here, we recommend sampling a bottle at its tasting room, open daily from 11 a.m. – 5 p.m. In the mood for some Spanish vino? Head straight to Bokisch Vineyards for your fill. Even though co-owner Markus Bokisch was raised right here in California, he spent his childhood summers visiting family in Spain. In 1992, he and his wife Liz packed up their belongings and moved there. Upon returning, they bought their Terra Alta Vineyards property, and the rest is history. In 2015, Markus was named one of the 20 most admired grape growers in North America. The new Bokisch tasting room is almost up and running; until it is, you can get schooled on their current varietals, like the Tempranillo (aka “the Cabernet of Spain”). Many of Lodi's wineries are family-run, and Michael-David Winery is six generations strong. Brothers Michael and David Phillips' family have farmed fruits and vegetables in Lodi since the 1850s, totaling nearly a century of wine-cultivation experience. The winery has also been certified sustainable since 2011. Among its unique offerings is the 2012 Bare Ranch Sparkling. Wine Enthusiast also named their 2012 Petite Petit Sirah the second best wine in the world this year, taking the #2 spot on their Enthusiast 100 list. Swing by the tasting room, open daily from 10 a.m. to 5 p.m. or enjoy a fresh farm-to-table lunch at the Farm Cafe. Jessie's Grove Winery has quite a history as well, with the estate dating back to 1868. The 320-acre property has 265 acres dedicated to grape vines, some of which were planted in the 1800s. Talk about ancient vines! There’s even a delightful grouping of historical artifacts housed in the tasting room for the enjoyment of history buffs. In addition to the estate and home winery that opened in the mid-’90s, travelers can also stop by the downtown tasting room at the Olde Ice House Cellars. The convenient downtown location paired with its weekend hours makes this a popular local spot.